Wedding photography planning tips to make the day run smoothly. Weddings are supposed to be a celebration, not a panic attack. Here are a few wedding planning tips to help you get timeless photos and still have time to down some champagne and party with your guests. Every photographer has a different style and it’s important to know what style you’re looking for. Choose how you want your wedding to be documented and how do you want to remember the day. For example, I am a true to life photographer. Yes, I edit, but my tones are almost exactly as they looked on the day of your wedding. I don’t blow out the sky and I don’t deepen the tones. I also do a combination of posed and unposed. I pose you when it’s needed, but I let it unfold and direct you into something natural and candid. Who want’s to look stiff and awkward on the most photographed day of their lives? My recommendation is to browse Instagram or Pinterest and see a little bit of everything. Once you know the tones and style you are looking for, you can narrow down the search for photographers and focus on the ones who can deliver your vision. Choose a photographer you connect with. Once you have decided on your favorite photography style, start considering personality. While there are obvious things you should think about when choosing photographers (prices, packages offered, location, availability), personality and vibes are sometimes overlooked. Do you want a photographer who is barely going to chat with you after you pay your retainer or are you looking for someone who will be there to help you pick colors, set your timeline, and stalk you on Instagram? I am quite often known to bustle dresses, pin boutonnieres, and jump on the dance floor. Most of my couples become close friends and we stay in contact for years after their wedding. I get to watch their families grow and happy cry when they ask me to photograph them on their anniversaries. Honestly, this is what I consider the most important decision. If you are about to throw the celebration of a lifetime and spend a ton of money doing it – do you want some grumpy pessimist there to bring down the good vibes or do you want someone who actually gives a damn about you and your babe who will be standing at the back of the room crying while everyone pours their hearts out over speeches. Ask for your photographers’ opinion. Your photographers’ opinions can go a long way. I mean, hello, we do this for a living. I’ve attended more weddings than most people could even dream of. I can guarantee that I have seen just about everything and can help you sort out the details so that everything runs smoothly. Some of the typical things I get asked include, my opinion about the lighting (super important), and whether additional lighting would be needed at the venue (no weird up lighting, please). Some couples also ask for my opinion on venue décor, hairstyles, attire, etc. Honestly, with most of my couples, I’m expecting you to ask me a million questions and I vow to be completely honest. Don't give your photographer a shot list. The problem with those lists is that they're the stuff of imagination. 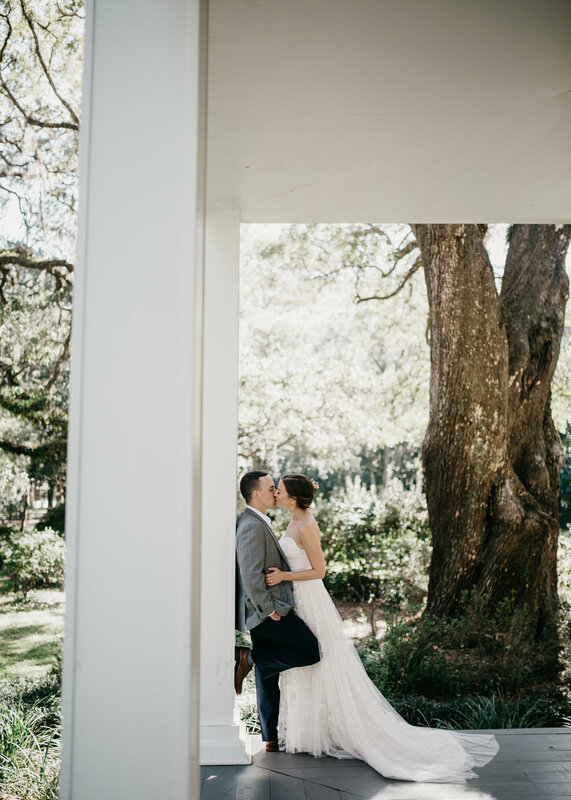 The requests may be for things that never happen that day, making your photographer obligated to devote their focus on watching for those, so preoccupied with nailing your requests that they miss the spontaneous moments that do happen at your wedding. And those moments can be far more powerful, richer and meaningful to you, now and in later years, than any pre-conceived idea of what you imagine your wedding photos should capture. Do, however, note important moments for your wedding photographers to capture. There will be important moments that your photographers need to know about and giving them advanced notice will ensure a smooth day. For example, you might want to let your photographer know if you are doing a special exit, first looks with anyone and anything unique at your ceremony or reception. If you don’t tell us about it, we may not know it’s happening. Please hire a day-of coordinator. Not planning on hiring a wedding planner? That’s fine. But, I typically insist that my couples hire a day-of coordinator. As convenient as it may seem, the DJ, the site (or venue) coordinator, and the photographers are not there to make sure the day runs smoothly. We are all a huge part in helping things run, but we cannot focus on our jobs if we have to make sure everything else runs smoothly as well. There are a ton of moving pieces behind the scenes that take a lot of attention to detail. And please don’t ask Aunt Sally to do it. I have watched family member after family member pull their hair out trying to make sure things run smoothly (and they typically never do). Don’t leave this to someone who should be enjoying your day. Planning ahead of time makes a huge difference. Before the wedding, make sure the registrar/officiant/vicar allows photographers to capture the ceremony, and check the limitations (for example, how close the photographer is allowed to stand). You want to keep it sacred while still having it captured beautifully. This is something the photographer may need to know in advance in order to change what gear they bring to your ceremony or change how they approach the photos. Another thing to think about is an unplugged ceremony. You could ask your guests to refrain themselves from taking photos during the ceremony, as sometimes it could be distracting and might potentially ruin the professional photos. Let them know that you hired a professional and they know what they’re doing. Do you love the photos on my website? For those dreamy, glowy photos, plan on having your photographer outside during golden hour, which is the hour directly before the sun sets. During this time, the sun will be low enough to create those strong golden hues, soft shadows, and some serious sun love. 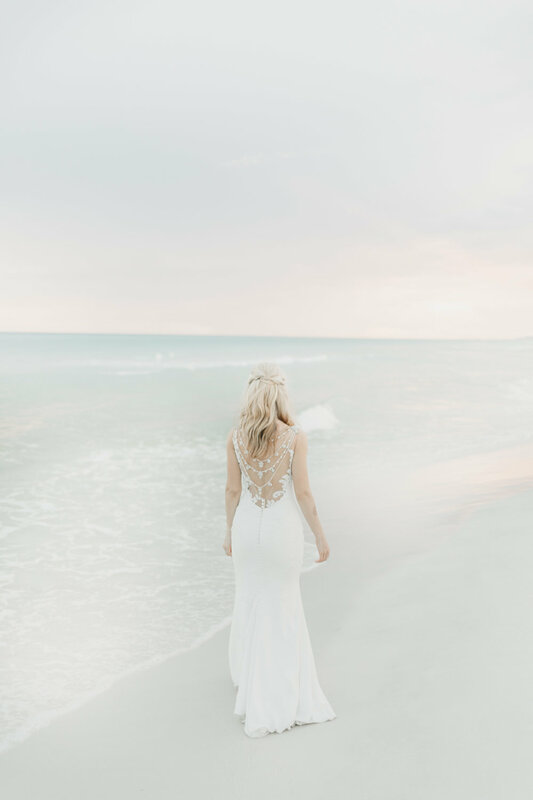 If you have an outdoor ceremony and you want to go the extra mile, plan the ceremony to be 2-3 hours before sunset, as this is the best time that the sunlight falls evenly on the skin tone without the harsh shadows. This will also allow us time to get family portraits, bridal party portraits, and couples portraits before the sun fades away. Use can always add cafe lights. Lighting can be very tricky, especially if your wedding is outdoors and the reception is at night. If you need to have additional lighting, add cafe lights. It looks stunning, and with enough lighting, your photographers might not need to use their flash, which for me is always preferred. Many brides put a lot of attention to little details and the reception ambiance but forget to plan the ceremony backdrop. While all of the details create a cohesive look for your day, they can be moved, rearranged, or I can come at it from a different angle. 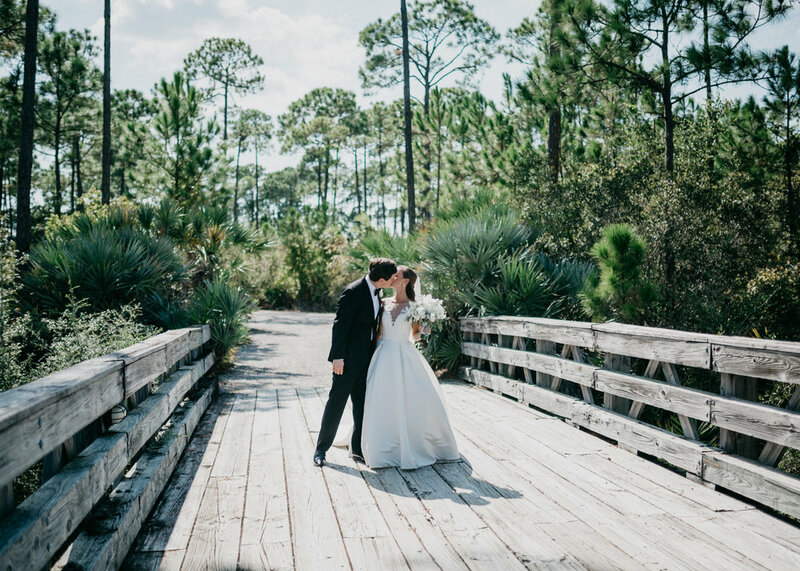 But during the ceremony, where the space is typically limited for your photographers to move around, having a gorgeous backdrop works wonders for your wedding photos. Hire a professional hair stylist and makeup artist. There are some things you might want to avoid for your bridal makeup. My rule is to keep it simply natural. For example, while orange makeup can give you a gorgeous bronzed, tan skin look, it usually doesn’t photograph very well. Always consider hiring a professional, not just for yourself, but for your bridal party as well. You get the benefit of feeling like royalty all day long, and your photographer will love you for it. The editing process goes a whole lot smoother and quicker when hair stays in place and makeup doesn't run. Plan to have all of your details in one place. On the wedding day, when everything is hectic, photographers will arrive in a chaotic room where everyone is rushing to get ready. Help your photographers save time and energy by having all the details in one place. For example, you can hang your dress and on its special hanger in the room, with the shoes, both rings, veil, accessories, garter, and all flowers nearby (a big bonus is to ask the florist for extra floral clippings from your arrangement for the photos). Always set aside time for couples portraits. This is time dedicated to the couple. 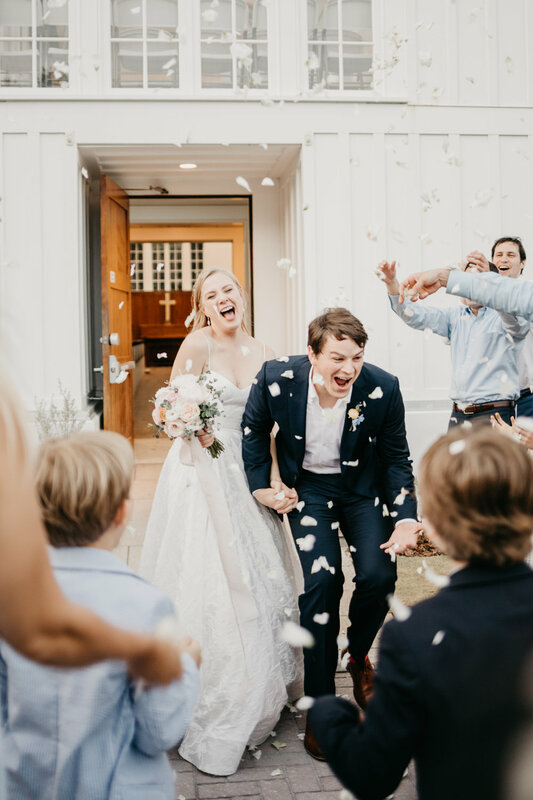 Newlywed couples typically remember this as one of the times they enjoyed the most on the day since it’s their opportunity to be away from the crowd and enjoy private moments as husband and wife after the ceremony. Depending on your timeline, I prefer to set aside 30-60 minutes for portraits. This gives us plenty of time to capture that ‘just married’ bliss. If timed right, this should happen just prior to sunset. Do what feels natural to you. Being photographed all day long can be exhausting, and couples will often look stiff if being asked to pose all day. I recommend standing in a way that you normally would together. For example: holding hands or arms linked around each other's waists. The more comfortable you feel, the more natural it's going to look. Show off the love, seriously. Nothing makes a better couple’s photo than genuine love and connection between them. So on your wedding day, be together, be present, and have intimate moments. Look at each other, smile at each other, dance together, and share lots of hugs and kisses. Once it starts, forget the camera. Once the ceremony begins, ignore the camera. The best photos are the ones that capture the moment and let it come naturally. Don’t think too much about how you look on camera. Your photographers will capture the moments. So relax, be yourself, and enjoy the moment. Know that if your photographer suggests one spot over another or doing some photos slightly later than you had initially planned, it's because they know best. They know that your photos are very important to you and they want to give you the very best. After painstakingly considering everything you’ve done to get to this point, you must have trusted your photographers’ skills and ability to let loose and let them do the work. It goes by so fast. Live in the moment.